Anisha was terrified when she saw the blood. She didn’t know she was menstruating for the first time. Unfortunately, Anisha is one of many girls who will have no knowledge of this natural process her body will go through and the proper hygiene to take care of her health once she begins menstruating. 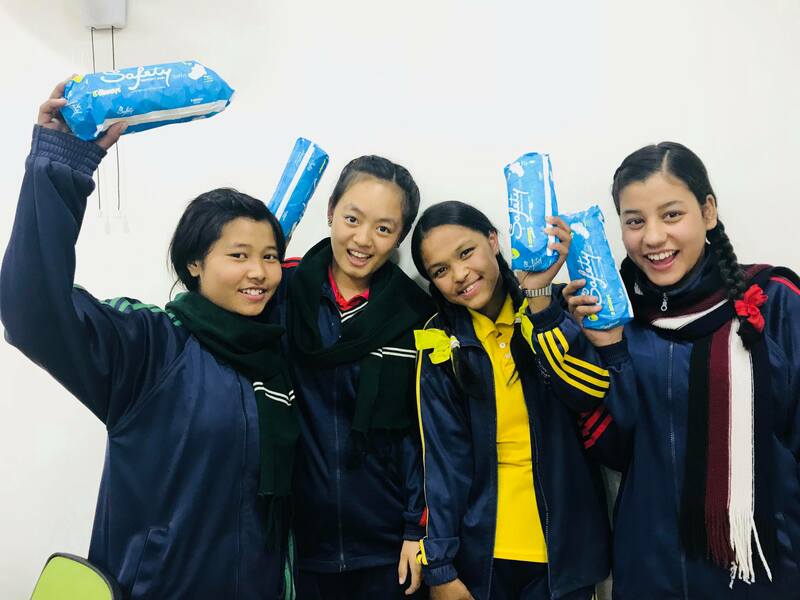 In Nepal, menstruation has been a culturally sensitive topic for centuries, making it taboo to even address safety and health concerns for young girls. Some religious groups in Nepal have a tradition called Chhaupadi; Women and girls who are menstruating are expected to eat separately, not enter the kitchen, be kept in a small room, and are forbidden to touch any males. The interim constitution of Nepal might legally protect women and girls against this tradition of “untouchability,” even criminalizing those who apply forced isolation on menstruating women with a penalty of three months of jail time or a three thousand rupee fine. Despite this, the tradition of untouchability is still prevalent across Nepal. Discontent, Deepa Neupane decided to do something about it. Deepa is a graduate of Global Peace Foundation (GPF) Nepal’s Global Peace Women Leadership Academy. Utilizing her leadership skills and network, Deepa is helping women and their families become aware of their legal rights, but more importantly, the serious health concerns that can arise from forced isolation. From December 2017, Deepa has conducted empowering workshops in schools to expand knowledge on the once taboo subject of menstruation, advancing respect for women in the family and not to forget the important role men have in supporting the health of their mothers, sisters, and wives. Boys were engaged participants in the workshop as well. Roshan is from a remote area called Kailai in Nepal where girls are expected to live in a cowshed during menstruation, leaving them vulnerable to snakes and even tiger attacks. His love for his mother and sister was apparent in his determination to bring back the knowledge on menstrual hygiene and start reversing the negative practices endangering women. Deepa’s workshop is about more than just comforting young girls and bringing legal awareness. GPF leadership programs are about empowering individuals as first leaders in their own families. Healthy families are the building blocks of peaceful societies. In order to uplift the role of women and men in their families, young leaders like Deepa understand the need to address prevalent cultural sensitivities and deep-set religious traditions by helping people see each other first as family members. Fostering this compassion and finding common values beyond religion and culture is the first step in building peace. Want to hear more on how Global Peace is helping families build peaceful communities around the world? Sign up for monthly newsletters.